The December 2017 LTC Task Force Meeting took place at the Council offices on Monday 18th. Highways England were in attendance. After the usual house keeping, such as Apologies for Absence, approval of Nov meeting minutes, confirmation that there were no Items of Urgent Business, and everyone having declarations of interest; the committee went through the Actions from Previous Meetings. Highways England gave their presentation which outlined their Thurrock Engagement Plan (see pdf below). An important outcome from last night’s meeting is that everyone agreed a list of top priorities for Highways England to address, in order of importance, is needed, as suggested by Councillor Little. For instance elevated sections of the route, or sections passing areas of high population might be of greater importance than discussing individual junctions, for the time being. The TCAG rep on the Task Force Committee has been asked to contribute to this list, so we are keen to hear from anyone with opinions and suggestions of what you would like to be included on this list. 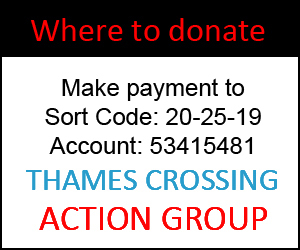 Please comment on Facebook, or drop us an email – admin@thamescrossingactiongroup.com with your ideas. The Council are compiling this list to send to Highways England in a timely fashion, to allow them time to prepare for the January Task Force Meeting, so please post/send any suggestions as soon as possible, but not later than mid-day Thurs 21 Dec. 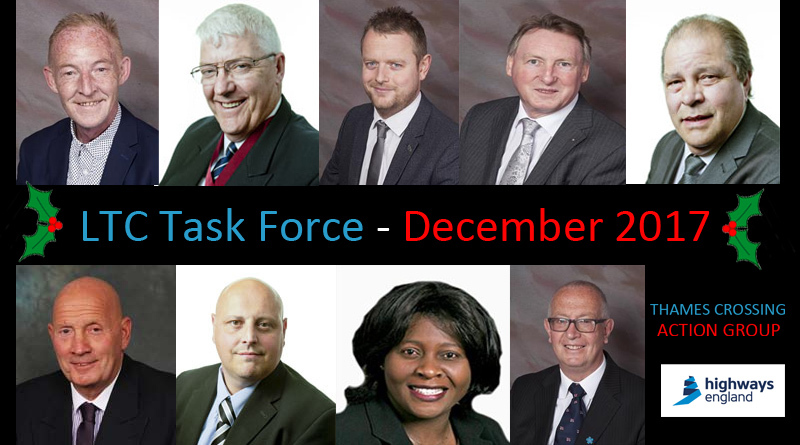 The next LTC Task Force Meeting will be held at 6pm on Monday 22 January 2018. Members of the public can attend and sit in the public area. 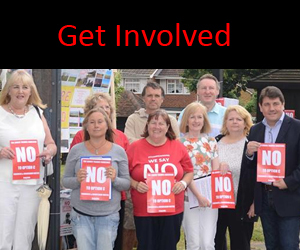 Regarding any questions you may want addressed there is a process whereby you can formally submit a question three days prior to meeting or alternatively ask one of the three public representatives to ask on your behalf. The Agenda will be published in the week before the meeting.